Ajax midfielder Frenkie de Jong has revealed that he once turned down an offer to join Tottenham. The 21-year-old is widely seen as one of the best products of the Ajax academy who still plays for the Amsterdam giants, although he will be leaving them in the summer with a deal already agreed with Barcelona. And it seems as though the Netherlands international could have in fact headed to North London instead of Catalonia, with Spurs making a move for him last season. Although de Jong is a fan of Mauricio Pochettino and the way that Spurs play, he admitted that he wanted one more full season with Ajax before leaving them. “The moment wasn’t right. I wasn’t finished at Ajax, as I hadn’t yet played a full season in my own position,” de Jong told FourFourTwo in their May 2019 issue. Tottenham fans would have loved it if Pochettino signed de Jong last summer because he really is a brilliant young player and one that is bound to shine at Barcelona once he does eventually head to the Nou Camp. The central-midfielder has played well for Ajax this season, earning 40 appearances across all competitions and scoring four goals in the process. He has helped the Dutch giants reach the Champions League quarter-finals, acting as a deep-lying playmaker in the midfield. 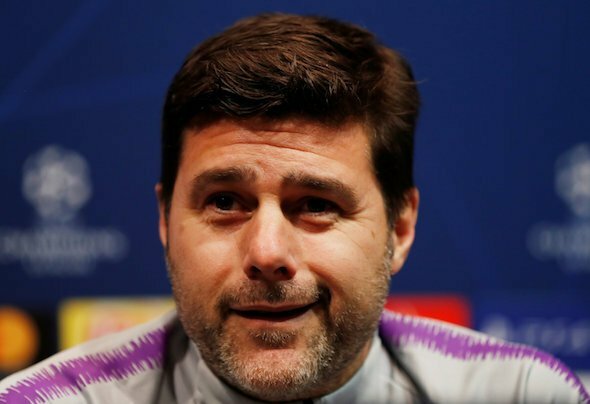 Tottenham will need to sign one or two new midfielders in the summer if they want to improve their squad. Mousa Dembele left in the January transfer window without a replacement being bought and players like Victor Wanyama have been prone to injuries. Spurs have not signed anyone in the last two transfer windows, but they better do in the summer otherwise Daniel Levy can bank on fans being very upset with his leadership.